And for whatever reason - I must confess my Moto GP television viewing has dropped off ever since SPEED pulled a Fast ‘Juan switcheroo upon Mwah - by flipping the ‘BigBoyz (MOTO GP) and Moto2 shows ‘causing me to miss a races outing... Which seems a bit callous compared to the fatality just incurred... As all I seem to recall is that Simoncelli had a propensity for banging handlebars with ‘DOBY (Andrea Dovizioso) amongst others. Thus, while most in the Open Wheel Racing Motorsports World were still morning the UNNECESSARY death of Dan Wheldon - I’m told by Indiana Bureau Chief Danny B that Marco’s Sepang ‘Shunt is brutally HORRIFIC and overly GRUESOME! 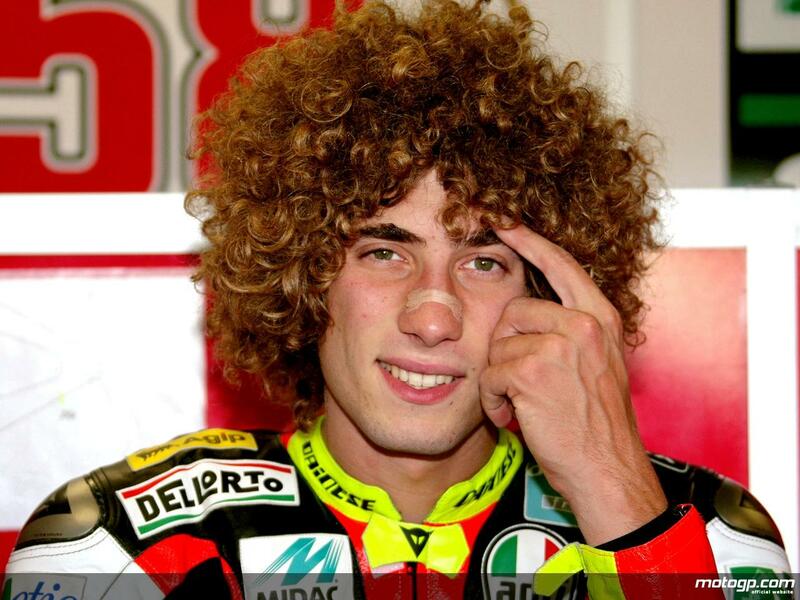 And isn’t for the faint of heart to view on Youtube, etc - as your Humble Scribe feels absolutely ZERO necessity to watch Simoncelli’s fatal accident when he apparently tried vainly towards saving his Honda RC212V ‘Bull and overcorrected into the oncoming path of fellow riders Colin Edwards and Valentino Rossi; SHEISA!